Chelsea winger Willian appeared to mock Arsenal over the departure of Alexis Sanchez to rivals Manchester United in this January’s transfer window. The Brazil international will be hoping to help Chelsea past Arsenal in tonight’s Carabao Cup semi-final, and may be attempting one or two mind games with an interview given ahead of the big game. 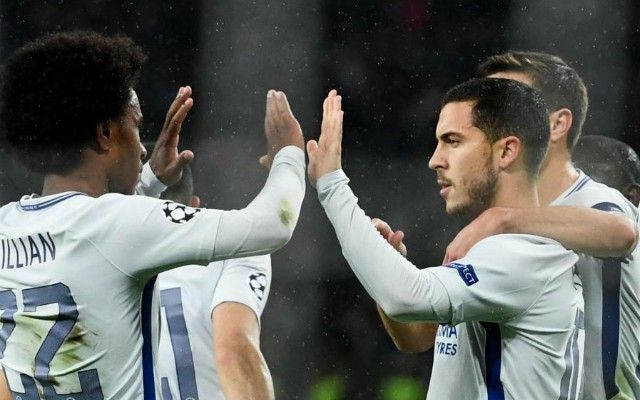 Willian admits he and his team-mates don’t like losing to Arsenal, and seemed to take a hint of pleasure in the fact that they’d just lost Sanchez, when asked to compare his importance to the Gunners with Eden Hazard’s to the Blues. The 29-year-old also hailed Sanchez as ‘special’, suggesting that Arsene Wenger’s men may lack another match-winner capable of harming them in tonight’s clash at the Emirates Stadium. ‘To lose this kind of player is not easy. It would be like losing Eden here – he is a great player,’ Willian told the Evening Standard. ‘Is he that important to them? Of course. No one wants to lose this kind of player. They are two great players but (unlike Sanchez) Eden is still here. Chelsea generally have a strong recent record against Arsenal, though they have lost some important games to them under Antonio Conte. They were beaten 3-0 at the Emirates in the Premier League last season, and also went on to suffer a shock 2-1 defeat in the FA Cup final last May. This season they have met four times so far, with all three games ending in draws, though Arsenal won on penalties in the Community Shield back in August.